WINSTON-SALEM — Susan Goldberg, the first woman to serve as Editor in Chief of National Geographic Magazine, will address the Class of 2017 at Salem College’s Commencement exercises on Saturday, May 20, 2017, at 10:00 am in the Lawrence Joel Veterans Memorial Coliseum. Goldberg was named Editorial Director of National Geographic Partners in October 2015 and Editor in Chief of National Geographic Magazine in April 2014. As Editorial Director, she is in charge of all publishing ventures, including digital journalism, magazines, books, maps, children and family, and travel and adventure. She is the tenth editor of the magazine since it was first published in October 1888, and under her leadership National Geographic Magazine won two National Magazine Awards and the George Polk Award for Magazine Reporting in 2015. In March 2015, she received the Exceptional Woman in Publishing Award from Exceptional Women in Publishing (EWIP). Before her employment at National Geographic, Goldberg was executive editor for federal, state, and local government coverage for Bloomberg News in Washington. She started at Bloomberg in 2010. In 2013, she was voted one of Washington’s eleven most influential women in the media by Washingtonian magazine. From 2007 to 2010, she was editor of The Plain Dealer, the daily newspaper of Cleveland and the largest newspaper in Ohio. Prior to that, from 2003 to 2007, she was the executive editor of the San Jose Mercury News and served as the paper’s managing editor from 1999 to 2003. 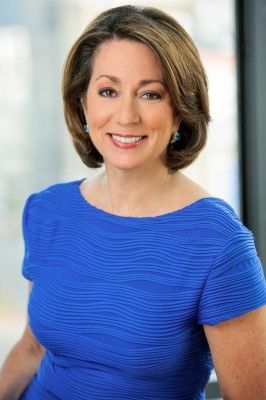 From 1989 to 1999, Goldberg worked at USA Today, where her work included stints as a deputy managing editor of the News, Life, and Enterprise sections. Prior to joining USA Today, she worked as a reporter and editor at the Detroit Free Press. She began her career as a reporter at the Seattle Post-Intelligencer. A Michigan native, Goldberg holds a bachelor’s degree in journalism from Michigan State University, where she now funds the Susan Goldberg Scholarship at the university’s College of Communication Arts and Sciences’ School of Journalism. She is active in professional journalism organizations and in 2012–13 was president of the American Society of News Editors. She is on the boards of The Reporters Committee for Freedom of the Press and the College of Communication Arts and Sciences at MSU and previously was co-chair of the Medill School of Journalism’s Board of Visitors at Northwestern University. She also is on the board of the National Museum for Women in the Arts in Washington and is a member of the International Women’s Forum. Founded in 1772, Salem Academy and College is the oldest continuously operating educational institution for girls and women in the United States. Salem Academy is a college preparatory boarding and day school for girls in grades 9–12. Salem College offers 33 majors for traditional-age undergraduates, adult degree programs for women and men ages 23 and over through the Martha H. Fleer Center for Adult Education, and graduate degree programs. For more information about Salem Academy, please call (336) 721-2600 or visit www.salemacademy.com. For more information about Salem College, please call (336) 917-5313 or visit www.salem.edu.